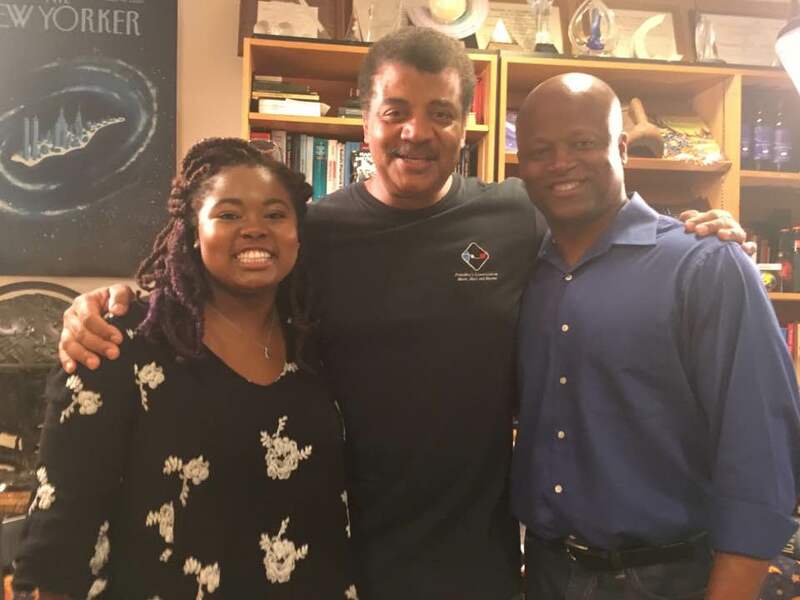 An astrophysicist and a chess grandmaster meet up at a bar…make that the Hayden freakin’ Planetarium!! 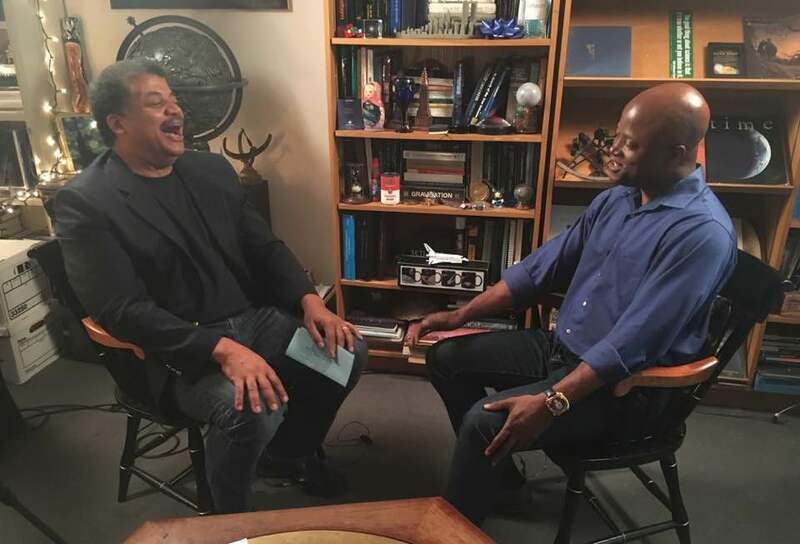 It was an awesome being interviewed by American astrophysicist, cosmologist, author, and science communicator Neil DeGrasse Tyson for an episode of his show StarTalk. I can’t tell you how excited I was to meet someone who is such a big hero of mine and one of the sharpest minds in the world today. To shake his hand would have been a pleasure. To meet him and be interviewed by him was just an incredible experience. We met for over an hour. He was interested, he was smart, he was witty. It was a truly amazing experience for me. I was so thrilled. It was just a fabulous moment in my life. For a while I was like a little kid. I felt like dancing. I am very happy to have met someone I looked up to for so long. 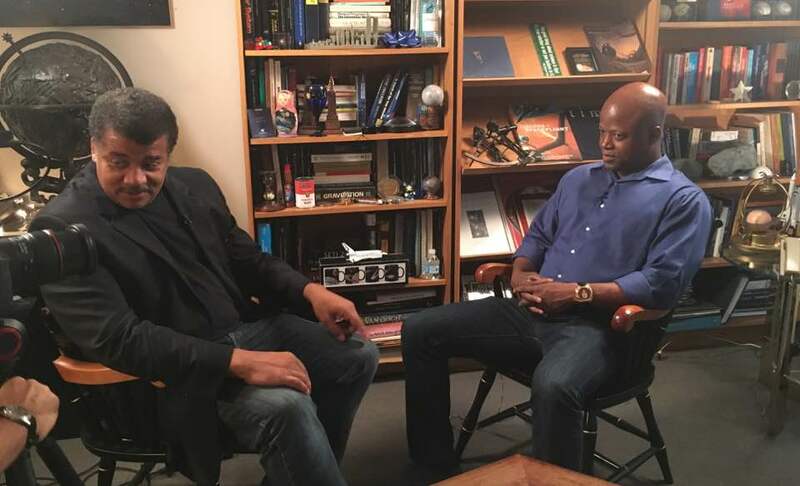 Neil DeGrasse Tyson checking one or two things with his camera crew before we get into the interview. 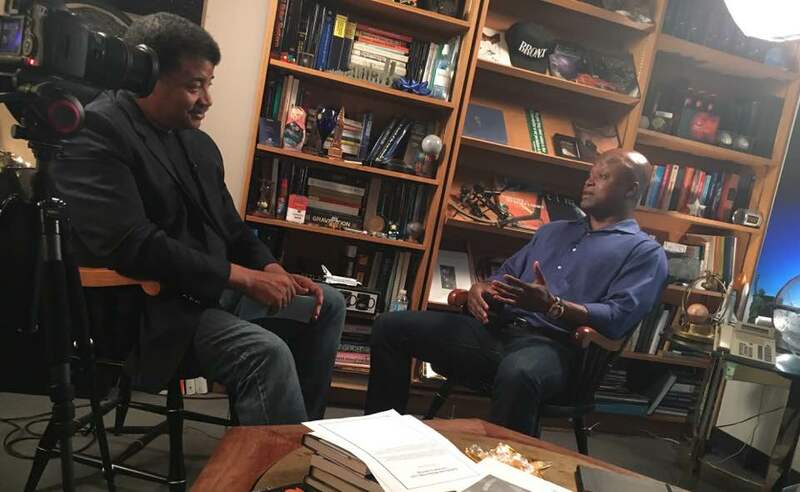 StarTalk bridges the intersection between science, pop culture and comedy with clarity, humor and passion. Through their various shows, they explore captivating subjects such as space travel, extra-terrestrial life, the Big Bang, the role science plays in people’s lives, the future of our Earth and the environment, and breaking news from the universe. Here are a few more pictures from that interview. 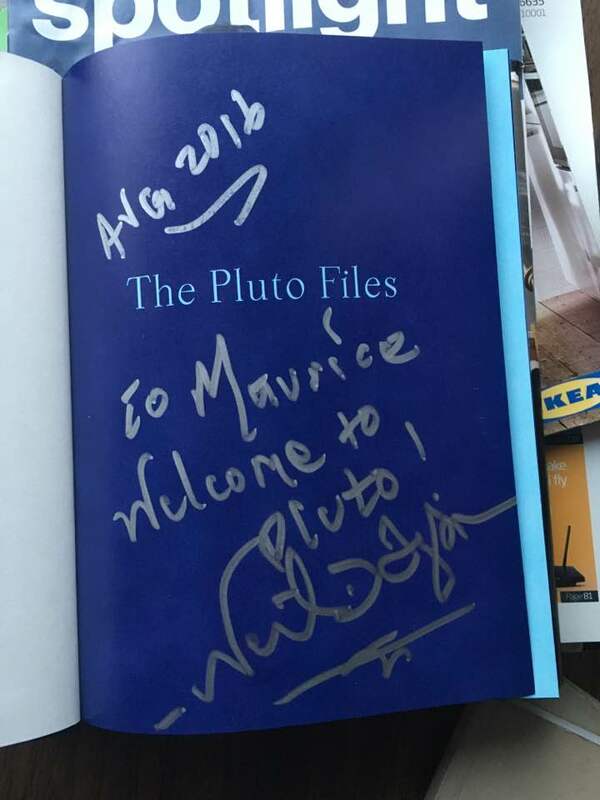 I even received my very own autographed copy of Pluto files. 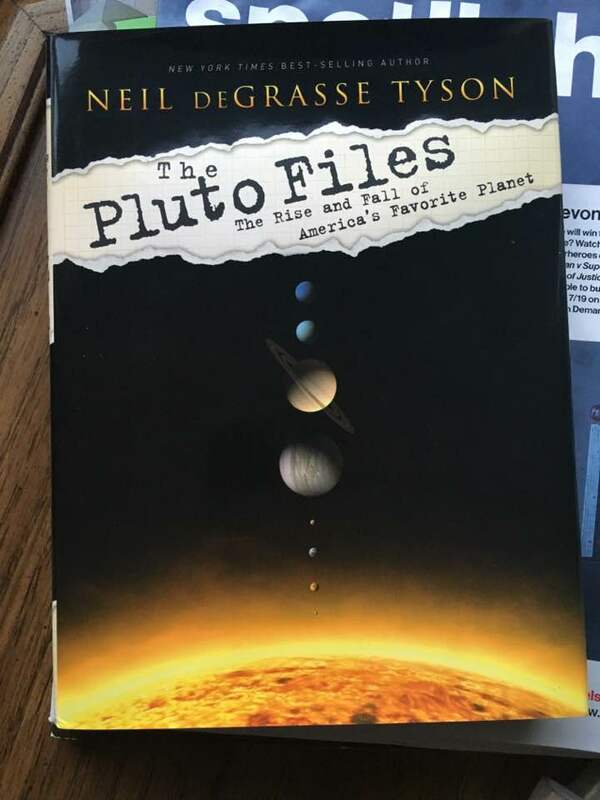 The Pluto Files. The Rise and Fall of America’s Favourite Planet. How many other people could make planets or exoplanets so fascinating. Neil DeGrasse Tyson is a very talented man. A book that is very hard to find. 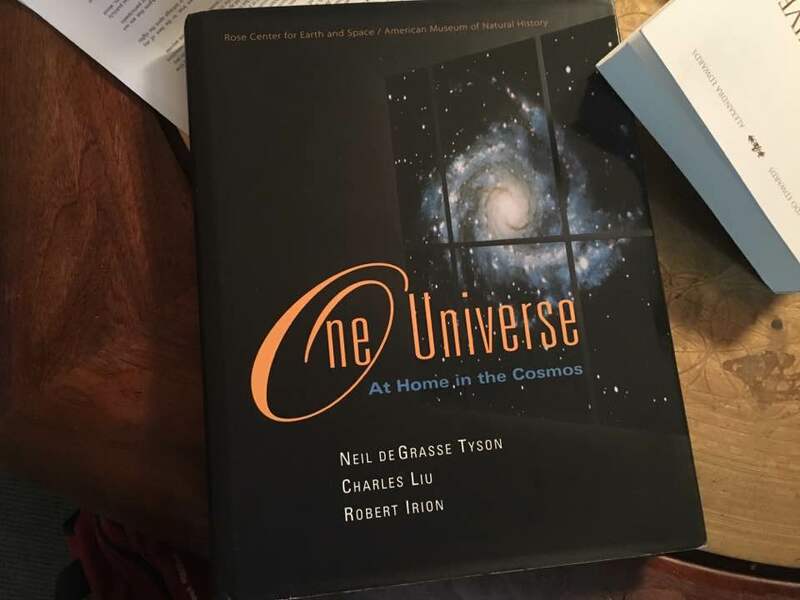 One Universe, At Home in the Cosmos. Posing with my daughter Nia at the end of the show. This is one evening I will never forget for the rest of my life. What an experience!